It has been pointed out to me that Mr. Singer might not approve of this. And should you decide try on your own machine, you're on your own. 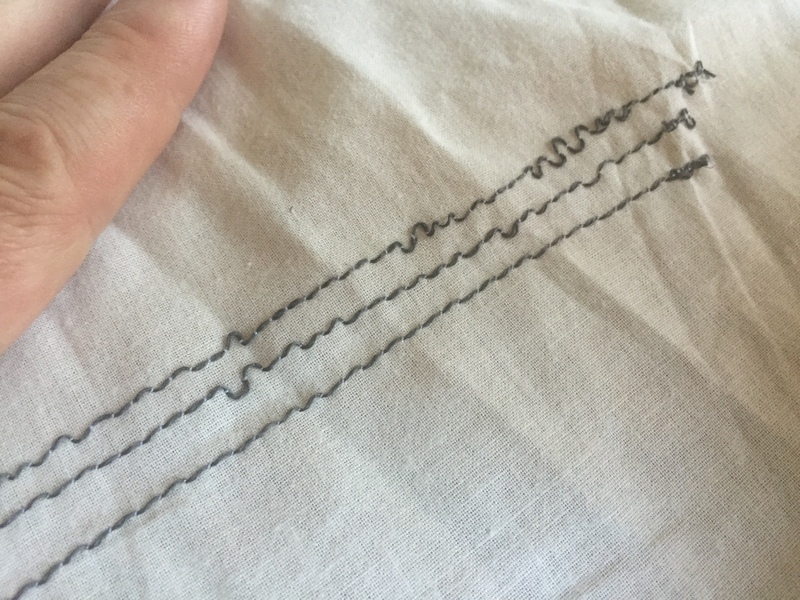 My plan was to use regular white thread as the “top” thread, and the conductive thread as the “bottom” thread. So the woolly conductive fibers would never go through the needle. 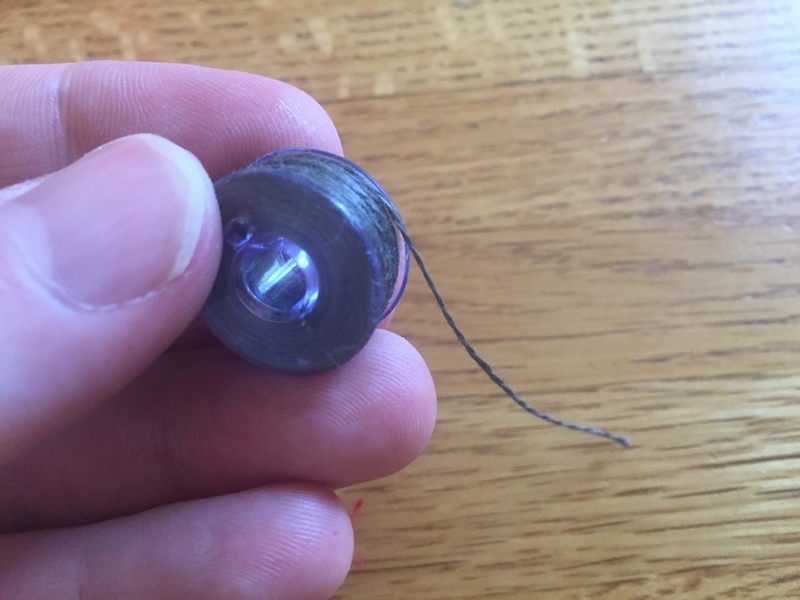 In the machine's manual, I looked up everything pertaining to the bobbin, and saw that the tension of the thread is adjustable — which seemed promising. I loosened the “tension” screw one rotation and loaded it up. I clicked on the power, put a piece of scrap fabric under the needle and gingerly pressed the pedal. I'm happy to report that parts did not start flying about, nor did the machine seize up. In fact, it pretty much worked. 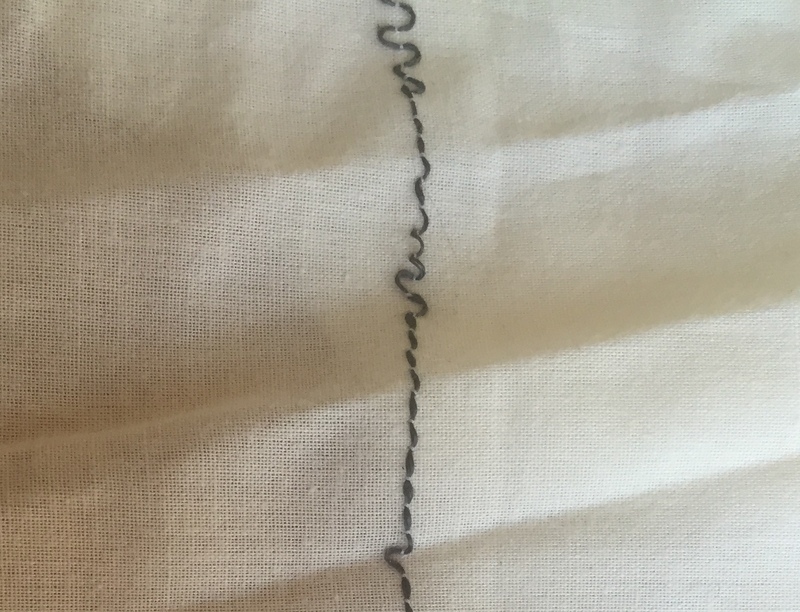 The stitch was a little serpentine, which I guessed meant the tension was too loose. I went back and tightened the tension screw half a turn. I tried again, and it looked pretty good (it’s the bottom stitch in the photo below). 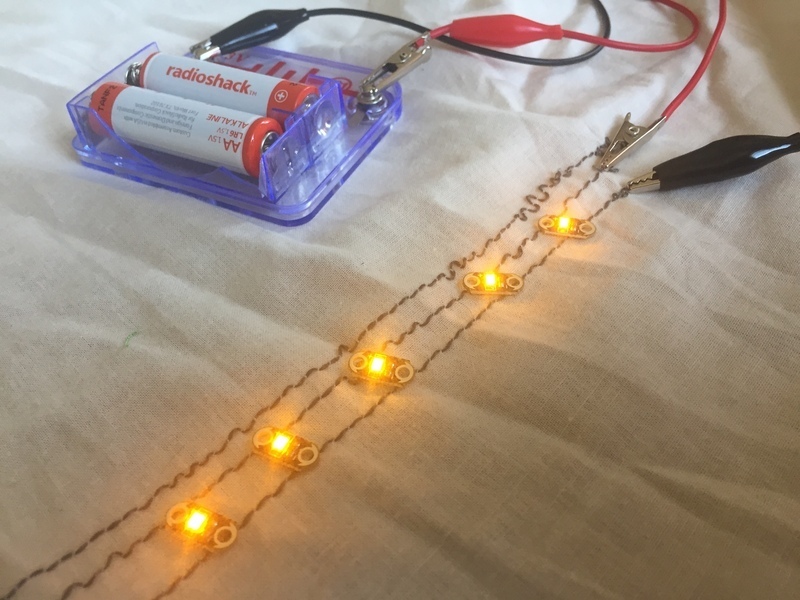 Just to be sure all was right in the world, I added 3 volts and dropped a few LEDs on the threads. 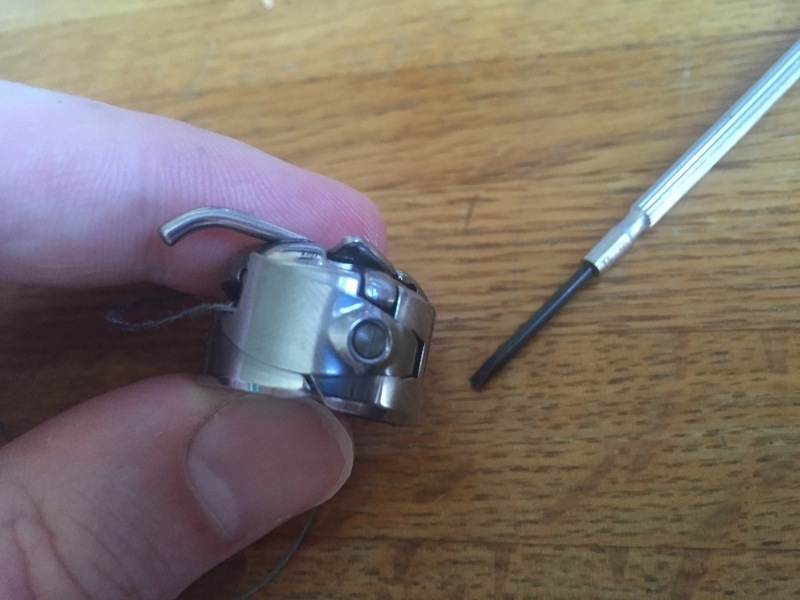 What’s also pretty cool is that the conductive thread is practically invisible on the "top" side. Which is a nice effect. 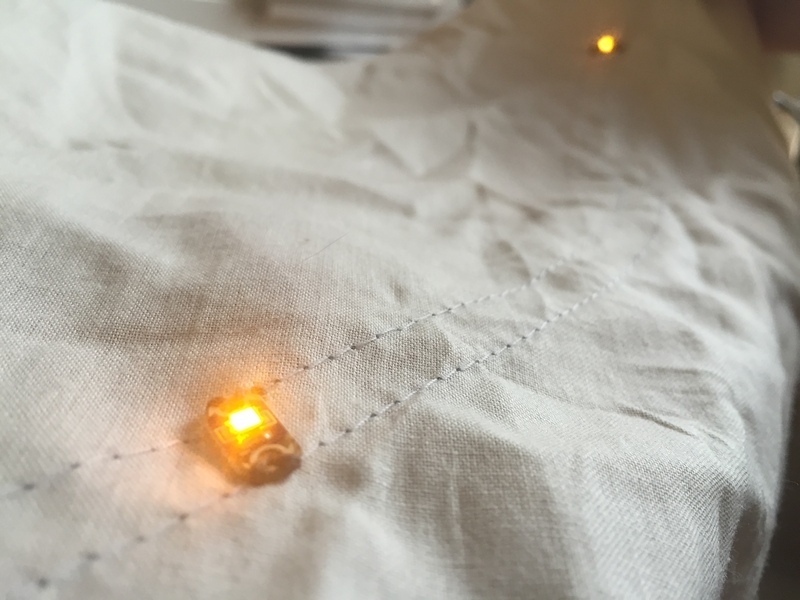 I still stitched the LEDs on by hand — they're LilyPad LEDs like these designed for sewing — but that was a breeze. 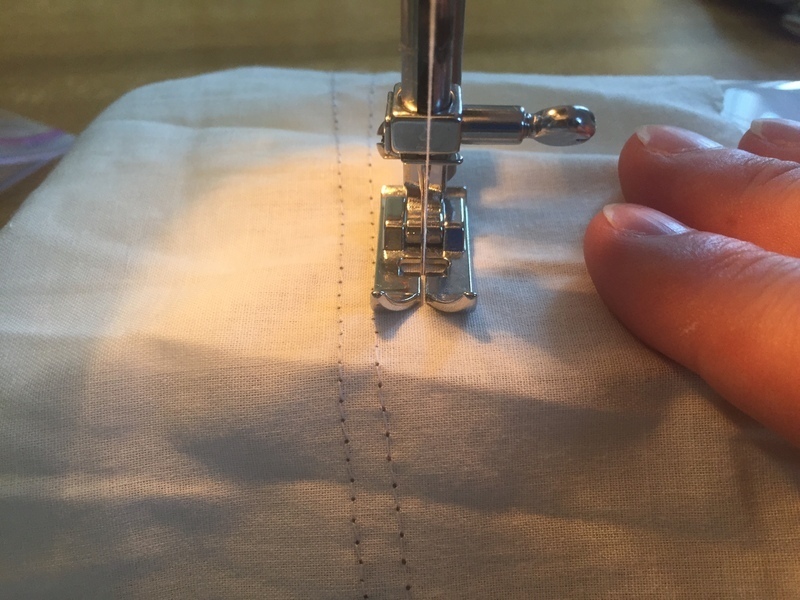 And a fun find: I tend to pull my fabric a foot or more from the machine before cutting the threads. Snipping the other end close to the fabric left me with about 15 inches of conductive thread, which was perfect for hand-sewing the LEDs.